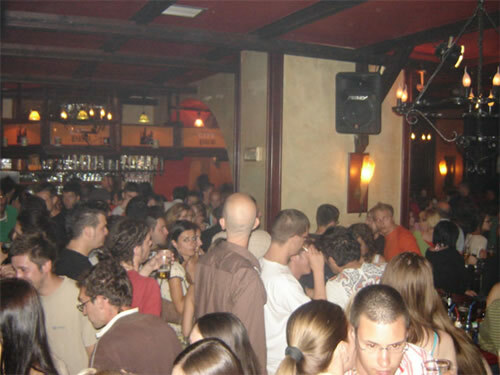 Sarajevo Guide has checked out the nightlife in Sarajevo and on this page we will share with you the best places to go out and have fun. Our night out guide will give you the best advice for your nights out in Sarajevo and ensure many highpoints in your evenings. Should you like to share with us your experience you are free to contact us and we will gladly publish your adventure in Sarajevo. Have fun! Tip: Don't bother going out on Sundays, everybody is at home sleeping. Thursdays, Fridays, and Saturdays are the days you mustn't miss as the atmosphere is great everywhere. 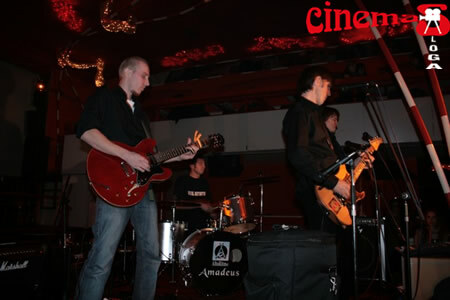 Cinemas Club - Sloga is located at Mejtasi (Mehmeda Spahe 20) in the immediate vicinity of the Croatian embassy. It is a popular spot of younger people and students. The music style depends on the night and they tend to host lots of live shows, mostly rock music. However you could stumble upon some jazz or similar. 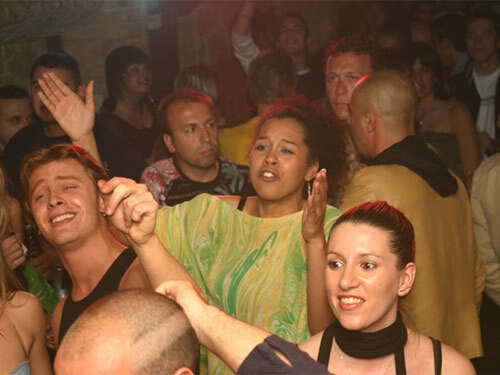 Monday is definitely the best day to come to the club as they usually have a Latino night with many people hitting the floor, enjoying themselves in the South American rhythms. Please try to come earlier on Mondays as the party tends to lose its heat by midnight. Mondays, Thursdays, and Saturdays the house is full and the other days the atmosphere is a bit looser. City Pub is located at Despiceva b.b. at the very heart of Sarajevo, a street away of Bascarsija. It is a popular place that swings to blues, rock, DJ, or jazz music. They host everything from concerts to movie showings and art performances. On popular nights it tends to be overcrowded and the service is kind of on the run so don't just stand there thinking, order your drink fast paying simultaneously. The Club is located at Gorica (Titova br.7). The place attracts a mixed crowd of all ages. The locally famous tend to go here, especially the musicians as they frequently get involved in the show. Wednesdays is particularly interesting as the live show is transmitted on the local radio as well. All in all The Club is a fine and fun place to spend your night out. The Club received the New Millennium Award in Spain for being the best club-restaurant in 2007 out of 14000 competing establishments. Hacienda is a lounge bar and a Cantina Mexicana located on Bascarsija at Bezerdzani 3. Night outs in Hacienda turn the night on fire with the music burning out of the speakers picked for you by the Sarajevo's most popular DJ-s.
Aquarius is located at Grbavica (Shopping - Hasana Brkica 2). It is a Cafe & Sandwich Bar, a small, yet popular place, perfect for your evening warming up fun before heading off to any of the larger clubs. Babylon you should search for this place at Bascarsija. It is a small bar with a great atmosphere featuring Ex-Yu Rock music. Great place that is packed full each night. Buddha Bar is located at Radiceva 10 nearby The Club and Cinemas (Sloga) Club. It is a place where inevitably every Saturday night out ends. It is basically a basement club, a dark place where the sun never enters. The party at Buddha bar last up to the afternoon when everybody goes home for lunch and the much desired sleep. Cafe Opera is located at Branilaca Sarajeva 25. It is a nice leisure point for an evening of relaxation and talks. Quite frequently they have the live music shows so if you don't feel like talking you can just lay back and enjoy the tunes while sipping comfortably at your drink. Coloseum Club is a fancy place located at Terezije b.b.. It is a club and a casino so in order to get in they require an identification card from you. However this place hosts some interesting pop concerts from time to time and the prices are the same like everywhere else so your budget won't suffer. 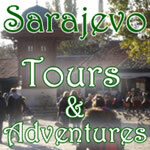 Please contact us with your review or any of your Sarajevo experiences and we will gladly add it to our site. Thanks!